Everyone knows that people come from far and wide to get in touch with Chesapeake&apos;s great outdoors. 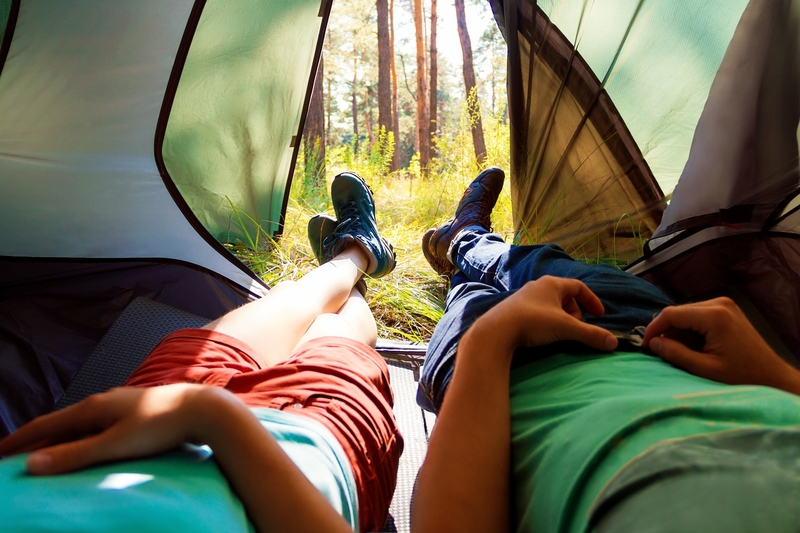 With some of the best nature that the East Coast has to offer, why not skip the confines of a hotel room and bring your own tent or RV, or rent a cabin at the Chesapeake Campground? Ready for some friendly family competition? Play a round of miniature golf. Or if you have your clubs with you, work on your long game at the campsite&apos;s driving range. Take a horseback riding lesson at the campground&apos;s Deep Creek Stables and try your hand at riding off into the sunset. Pony rides are also available if you want to explore equestrian activities at a slightly slower pace. Speaking of hay... If you&apos;re RVing down the coast, let someone else do the driving for a change. Scenic two-hour hayrides are offered every Saturday and Sunday. Bring a pole or just get out and enjoy nature when you rent a kayak, canoe or John boat. There is also a pool if you want to take a relaxing dip. Even rain can&apos;t dampen the fun at the Chesapeake Campground. The country store has board games and a book/CD sharing station. There is also the unique-to-Chesapeake Markley&apos;s Antiques & Finishing right next door. And don&apos;t forget to check out our other posts of all kinds of fun activities to do around town if you&apos;re RVing through this summer. Come to Chesapeake and let the moments begin.